Curran Phillips has been doing flips and other tricks for as long as he can remember, so when he started experiencing hip pain, he was concerned about finding a care team that would fully understand his love of competing. The 17-year-old elite all-around gymnast trains 20 hours a week, most months of the year, and competes on a national and local level. He has placed nationally in floor exercise and high bar. This fall, he will attend Stanford University, where he will compete on the men’s gymnastics team. “When I felt the pain, my initial thought at the time was, ‘I’m only 14. I’m too young to have this type of injury,’” says Phillips. After a few appointments with other specialists, Phillips landed at Northwestern Medicine Orthopaedics in Warrenville where he worked with Jim Beitzel, ATC, CI, PES, clinical athletic trainer and clinical coordinator for the Athletic Training & Sports Performance Clinic. Using strengthening exercises and other functional-based therapy, Phillips was able to overcome his injury. Hip injuries are common among gymnasts, but Phillips says the care he received at Northwestern Medicine Orthopaedics was unique. “Northwestern Medicine is different than any other place. They take the time to get to know me as a person, and to really understand the problem. They know and support my goals as an athlete,” says Phillips, who is a Naperville resident. Since his initial injury, Phillips has returned to Northwestern Medicine Orthopaedics for the treatment of other injuries, ranging from knee inflammation, wrist pain, a broken finger, a cyst, shoulder pain and two concussions. 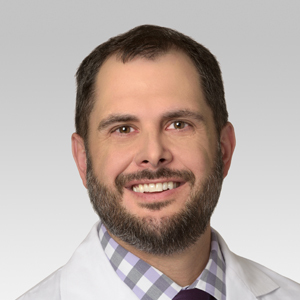 Under the supervision of Beitzel and Brian Babka, MD, a board-certified sports medicine physician at Northwestern Medicine Orthopaedics, Phillips has been able to maintain his tight competition schedule and training regimen. “Curran is one of the best student-athletes I’ve come across so far in my career,” says Dr. Babka. Phillips trains at Prairie Gymnastics Club in Batavia with his primary coach Devin Halliday. Outside of the gym, Phillips spends a lot of time mentally preparing by visualizing his routines and building his confidence. In addition to mastering his tumbling, dismounts and vaults, he also ices, rolls out his muscles and follows a strict nutrition plan with the help of his mom, Debbie. “The anticipation really starts to build in your mind before a competition, but Dr. Babka and Jim understand what I’m going through, both physically and emotionally, and work with me to know when I can safely push through the pain to keep competing,” says Phillips. As former athletes themselves, Dr. Babka and Beitzel relate to the emotional toll an injury takes on an individual and the void that it creates when you can’t train. “We believe an athlete needs to have an active recovery and rehabilitation. We work closely with the athlete to make sure they can tolerate the activity, get them back to the sport pain-free and give them the strength and biomechanics needed to be safe,” says Dr. Babka. Phillips says this level of understanding has enhanced the relationship and trust that he has developed with both his physician and his athletic trainer. “I don’t think an athlete should be told to never compete again. I think there’s always a way,” says Dr. Babka. The experience has been so impactful that Phillips wrote about it in his college application essays. It has also sparked his interest in pursuing a career in the medical field. For Phillips, the personal relationships have made his care different and better, and he hopes to carry this philosophy forward someday. “Everything in life happens for a reason, and my injuries and my experience at Northwestern Medicine have inspired me. I could help a lot of people,” says Phillips. For more information on Northwestern Medicine Orthopaedics and the Athletic Training & Sports Performance Clinic, visit sportsperformance.nm.org or call 630.315.8764.